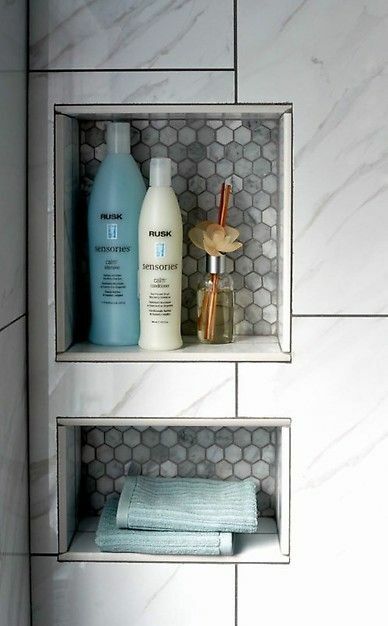 A shower niche is a perfect spot to keep hair shampoos and soaps in a tiled wet-area. However building a totally water resistant, effectively sealed tiled wet-area specific nook can be an in-depth and time consuming job. Trugard has developed four upraised and totally waterproof wet-area nooks that are prepared to tile. All 4 wet-area nooks feature a 1/2" (12.5 mm)- thick by 2" (50 mm)- broad integrated bonding flange that sits perfectly flush with the surrounding wall area. The bigger sizes consist of an optional premade rack that can be set up at any height to create separate compartments within the wet-area specific nook. The preformed wet-area nook provides installers with increased speed during setup, combined with complete waterproofing dependability. The corners of a conventional wet-area nook are the most difficult location to waterproof and can be very susceptible to standing water and mold development. With pre-sealed nook corners this obstacle is totally removed. The specific nook matches an already broad selection of preformed wet-area components readily available from Trugard, consisting of wet-area trays, curbs, benches, and ramps. All of these components help installers construct waterproof and vapor tight tiled wet-areas faster and successfully than with conventional building materials. 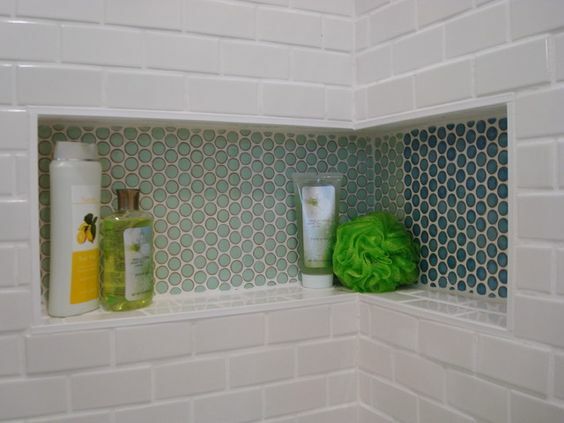 Waterproof specific nooks that are ready for tile. They can be set up in minutes without penetrations of the Nook. tileable shower shelf Adjustable racks are included with select sized specific nooks. * Save Time - Install in minutes. * Nooks install flush in 2" x 4" stud wall construction with 1/2" backer board. * All set and waterproof for tile. * Includes thermal resistance - R Value 2.5 to 3.0. * Custom-made shapes and sizes offered (for amounts of 50 or more). Utilizing thoroughly developed details will ensure your new wet-area is all that you prefer-- therefore much more. Our wet-area nook line of product allows you full modification through a variety of sizes and shapes you can integrate for your specialized needs. Whether you select side-by-side, separated, stacked or any mix of the three, all Trugard’s wet-area nook options come Ready-To-Tile. Made from one-half inch solid PVCore composite product. Wet-area nook is extremely long lasting and, of course, like all of our items, totally water resistant. You merely connect the ready to tile wet-area nook to wall studs utilizing deck screws for simple and quick 5 minute setup. Preformed recessed wet-area nooks are readily available in a range of sizes so they suit between the studs of a basic 2 × 4 framed wall. Other sizes are available for individuals that want larger or smaller wet-area shelves. Let's talk about the various type of prefab specific nooks that are out there. I would put these in 3 different categories:. These are composed of aluminum with a rough sand-type finishing that assists the tile stick to it. This indicates that the wall tile has actually to be developed out further or you have a bulge in your wall where the nook is. I also know that some concern just how water resistant they are. Plastic: In fairness plastic most likely isn't the very best term I might utilize. I simply don't understand what a more technical term would be. The primary beef I have with the plastic ones is that you have to use an epoxy thinset with them when you set up the tile. This is a hassle. Other than that I do not see any factor not to utilize them. Foam: The foam specific nooks are the ones that I prefer. You're not required to utilize an epoxy mortar so whatever thinset you are going to use will be fine to install tile in the specific nook. Are you tired of tripping over half-empty shampoo bottles when you are mid-wet-area? You might install a low-cost wire basket to being in the corner or hang from the wet-area head. However then it's just a matter of time prior to the wire begins to build up unsightly rust spots. If you are prepared for a storage service that is both practical and stunning, we have the perfect item. We advises niche for shower walls a shampoo/soap wet-area nook for any customer who is thinking about a bathroom remodel. The very best part is that our product is easy to integrate into any wet-area, no matter your style aesthetic. Shampoo nooks are typical in a lot of tiled showers and tub enclosures these days. While I value their wanting to help, it would be amazing-- or really lucky-- for that specific nook to line up with the tile layout. 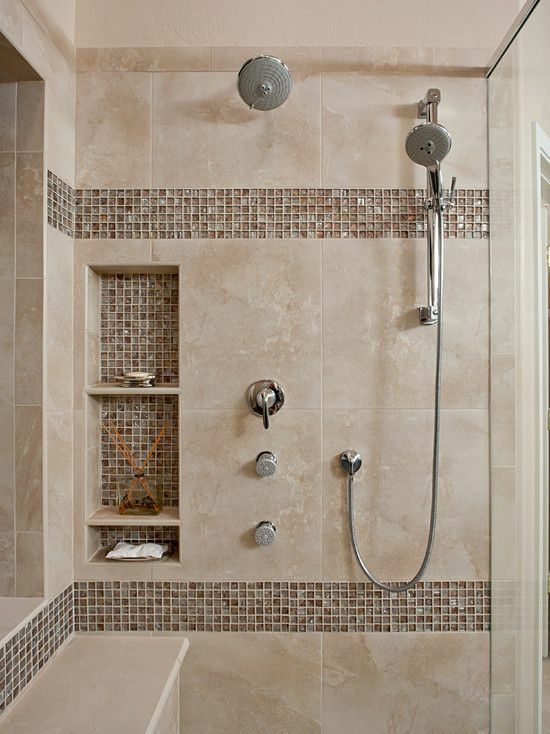 There is no denying the truth that a shower niche is a very useful and helpful addition to any bathroom. Providing requisite storage in a tidy, steady and dependable type, a wet-area specific nook spares the flooring & the corners of the bathtub. Restroom designers and designers also guarantee the flexible effectiveness of a wet-area nook, as opposed to having an unpleasant wet-area caddy hanging from the wet-area head. Depending upon the interior design style and the space offered, a wet-area nook can be easily included into the wet-area space. The sizing, shelving, positioning and materials to be utilized likewise add to function and design of the specific nook. When it comes to designing, there is no 'basic" to be followed; the shelves and spacing need to be practical to suit your private needs..
An integrated wet-area specific can be in stone or tile. Based on where the wet-area specific nook is placed, glass and stone are the 2 most commonly utilized choices. The apt height of the nook is equally important, both from the floor as well as for the alcove to house the high bottles/ containers, so that one doesn't need to utilize a stool to reach it and kids can safely access it. Having kids in the house requireds a variety of safety precautions all over and the wet-area is no various. In order to keep the shelving in wet-area secure, setting up the glass/ stone slab in the nook PRIOR TO setting the tile around it is a much better idea as compared to siliconing the glass rack into the finished tiled specific nook. Wet-area nooks look natural in any sort of wet-area, as they're so standard & so versatile. If planning it in the design phase, one can make it as big as preferred & have it cover around the room, injecting & connecting adjacent walls vibrancy with its tiles. Using decorative tiles for wet-area specific nook and matching them with other decoration details, the visual appeal of the restroom can be boosted manifolds. When utilizing tile for nook style, there are some guidelines to think about:. ( 1) Measurement: When defining a niche, bear in mind the tile dimensions. Tile proportion around a specific nook is essential; tile line ending right on the nook imparts a truly clean appearance. Really small tile on 1 or both sides of a nook is best avoided; rather, framing the specific nook is a great solution. ( 2) Unique tiling: The wet-area nook might need bullnose tiling, particularly with ceramic tiles that do not have color throughout their clay body. This might be a problem with porcelain, but not so with stone. ( 3) Material: It is essential to define all sides & the back of the nook. If specific nook remains in mosaic being in larger field tiles, it is an excellent idea for the sides, back, leading and bottom all to be mosaic. It conceals the cut edge behind the field tile which is more quickly practical if it is a glass tile. ( 4) Waterproofing: This makes sure correct drain into the wet-area location. It's also particularly essential with mosaic tiles. Even a small leakage from a specific nook can trigger considerable damage in time. ( 5) Color: Bold color mixes, a single bright accent color (as revealed), and even match & blend for textures & surfaces in a variety of stylish methods are also good options to experiment with. best idea for niches Accent lighting can likewise make the nook stick out; nevertheless, the design & finishes need to be kept easy to stabilize the look. Adding a wall specific nook is a stylish and extremely practical way to develop more storage area in your bathroom. By utilizing our Container Series you have the ultimate bathroom specific nook. These wall specific nooks will certainly enhance your bathroom style and offers a place to conveniently stow all your shampoos, wet-area gels and other restroom products. The stainless-steel wall nooks come in different colours and sizes to match any restroom design. A wet-area nook is a storage recess in the wall of your wet-area created to store soap, hair shampoo bottles, and so on. There are 2 primary types: "tiled" and "finished"
1. Tiled wet-area nooks been available in two types:. * Customized tiled specific nooks require the building and construction of a framed box in between the wall studs, covered with tile backer board and waterproofed. This type of nook is the most challenging to water resistant correctly. * The pre-manufactured niche is the easiest tiling nook to install and water resistant. The tile is used to it's surface, and they are readily available in just a couple of standard sizes. 2. Ended up wet-area specific nooks likewise are available in two types:. * The bonded nook has an external flange for bonding to waterproofing membranes and accessory to the framing. They can be made from stainless steel or porcelain. * The retrofit nook installs into a hole in the completed tile & fastens to the tile surface with adhesive. They can be made from porcelain, steel or plastic & are not bonded to the waterproofing membrane. If you're going to have a glamorous, beautiful, spa-like wet-area, you're going to require a nook ... or more.Since who wishes to see all those messy bath items spilling out all over? I understand I sure do not! A wet-area nook is that one area where it's appropriate for it to be over-wrought, over-thought and over-detailed out, since it's sole function isn't to just hold your stuff. It is accountable for so much more.. It can be there to catch your eye. To provide a little style and style. To highlight the area's total style..
To duplicate a special product or pattern. 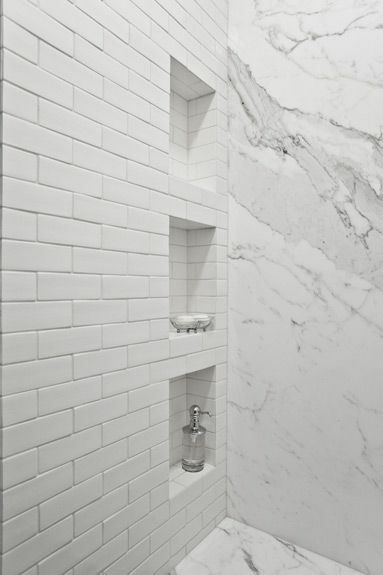 Bathrooms actually aren't complete any longer without a specific nook-- or a number of-- studding your wet-area wall to make an innovative storage location for shampoo, conditioner, shaving products and body wash. niches for your bathroom Experienced pros offer lots of believed to how to tile each specific nook, so you and your houseguests don't have to squint at permanent mistakes, questioning what doesn't appear rather ideal about your DIY specific nook installation. A great niche or recess starts long before you start troweling thinset on the wall. Mark on your green board or bare studs the approximate height you want your nook or specific nooks-- but hold off for now on setting the exact last point for the bottom and leading shelves. Lining Up Specific Nook Height and Tiles. Regardless of the size of your tiles, you desire them to line up a minimum of with the bottom of your nook for an expert appearance. The simplest method to do this is to make a jury stick-- a 1-by-2 or likewise sized piece of wood, marked in increments to reveal the size of each tile and consisting of an allowance for grout. Hold the jury stick up versus the green board or studs so you can mark the approximate bottom and top of the specific nook. You can start tiling genuine now, a row at a time up until you hit the bottom of the first specific nook. Aligning the Specific Nook Width. You may desire to align the sides of the nook with your grout lines too, although it's completely OK to pursue other style alternatives. If you pursue this choice, you'll require to screw in framing members alongside the nook's existing studs to narrow them from the complete 14 1/2- inch space available in between studs. You can likewise combine typical 6- and 8-inch tiles to produce a pattern that comes close to 14 inches, and need just a small accumulation of the specific nook's sides. In spite of their permanence, wet-area nooks are not the kind of function you 'd desire to replace frequently anyway and that generally makes them desirable in the restroom. Wondering what a wet-area nook could provide for you? Its usefulness is not entirely associated to the idea of storage. A wet-area nook is useful in more than one way. From a visual point of view, it looks easy, elegant and versatile. Contribute to that all the modification possibilities and you'll fall for the concept. We'll start by stating that a shower nook is in fact a pretty broad idea. Think about this more in regards to a bathroom nook which looks excellent in the wet-area but can likewise be practical elsewhere in the room, like this long one which fits elegantly above the ink and toilet. Trugard is the leading provider of ready-to-install bathroom nooks. Water resistant, resilient, and created with cutting-edge cement technology, each wet-area specific nook is crafted with just the greatest quality design elements, all with long enduring materials that go beyond industry requirements. Why Consider Trugard Wet-area Nook? The wet-area nook, likewise referred to as a recessed wet-area rack or restroom specific nook, supplies an excellent mix of kind and function. It supplies better usage of space, looks fantastic in both modern and contemporary bathrooms, and adds perceived worth to the quality of the residential or commercial property. Our wet-area nooks are utilized by both professionals and property owners alike. Every one is crafted with engineered fiber reinforced cement, made with recycled content, and comes total with tapered edges for favorable drain on all sides. If you're seeking to purchase a long-term, completely crafted wet-area and bath specific nook, you'll find yours at Ledge Products. Our wholesale shower nooks are some of the most affordable in the market without compromising on quality. Benefits of our restroom nook products include;. * Faster and simpler to set up than other wet-area specific nooks. * Comes with flush installs, sheathing, or floated base coat. * Waterproof and developed to last. * Made with an exceptional bonding surface area. * Equipped with counter sunk screw holes.